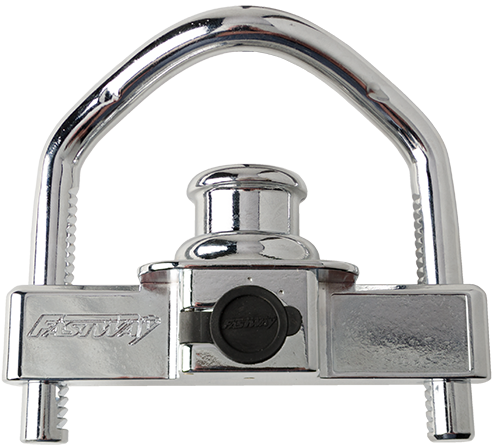 The Fastway® FLIP™ jack foot extends your trailer jack by six inches, and saves you 50 cranks both up and down. 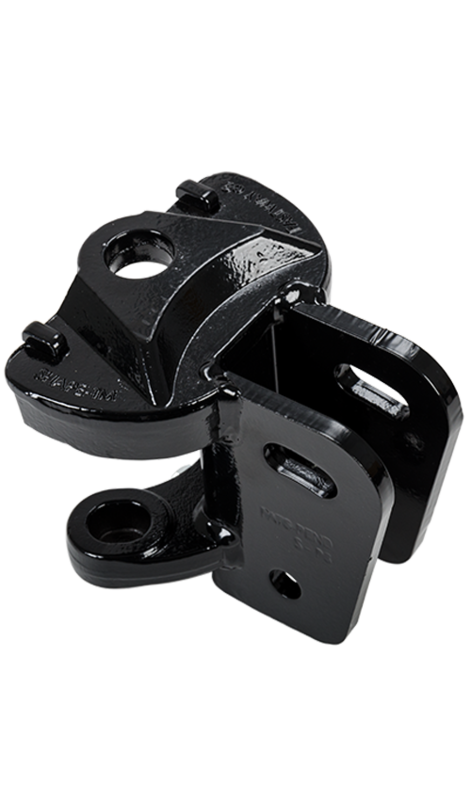 The FLIP has two times more contact surface area than other jack feet, providing more stability for your trailer. The Flip installs in seconds, with no tools needed for most applications, and fits nearly every 2-1/4" tongue jack- round or square. 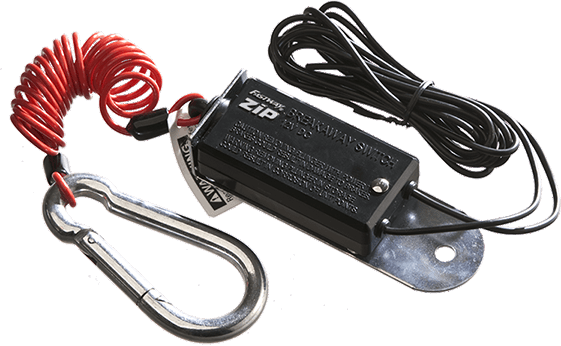 The Flip eliminates the need to search for rocks or wood blocks to put under your trailer jack. It is the only jack foot that is completely automatic; the Flip extends down and locks into place when jack is extended, then tucks up under the trailer frame when towing. It easily removes for low clearance situations, and fits virtually every bumper-pull trailer: horse, travel, cargo, RV, ATV, and flat bed. Buy today and get $10 off and FREE SHIPPING! As you extend your jack, the Flip jack foot extends down, and locks into place. 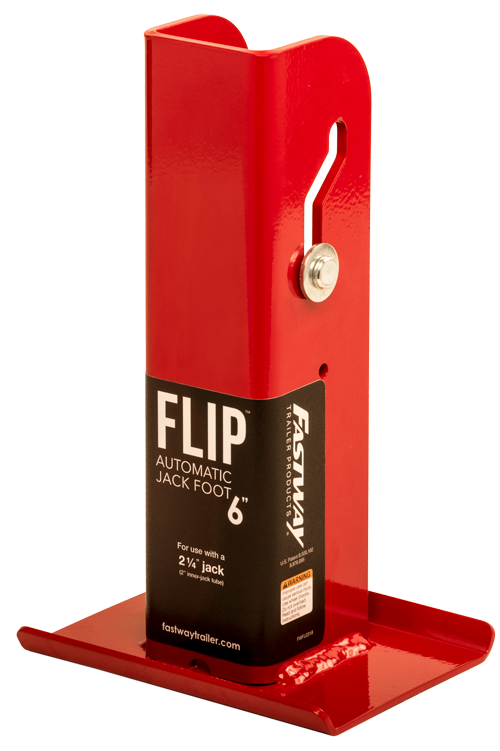 When you raise your jack, the Flip jack foot automatically tucks up under the frame and out of the way. 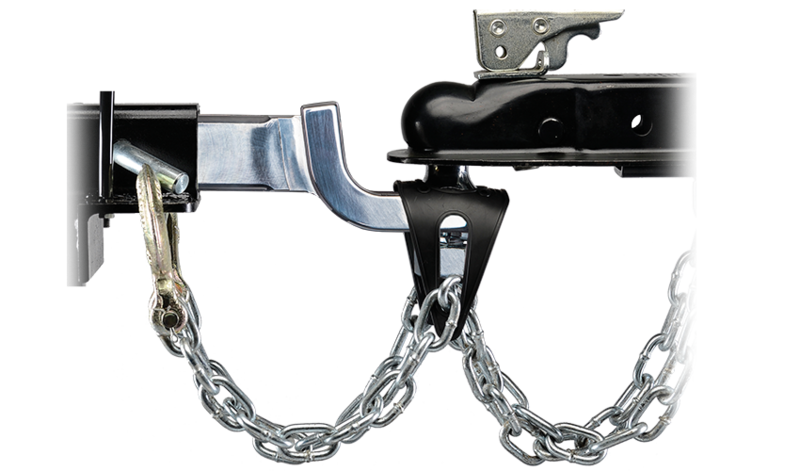 Save time and effort every time you tow your trailer. Find the Flip jack foot that works best for you. With the trailer hitched as you usually tow: - If there is 8" to 10" from the bottom of the outside jack tube to the ground use a 4" tall Flip jack foot. 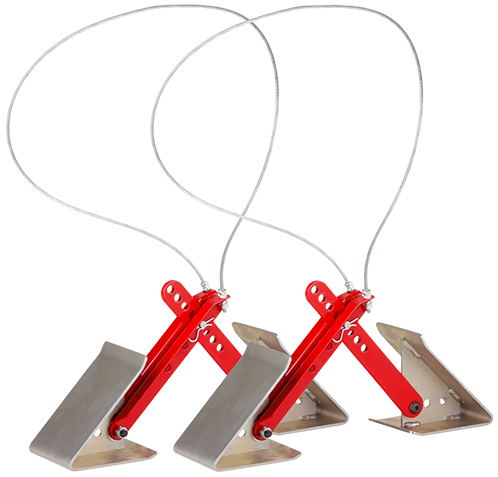 - If there is more than 10" from the bottom of the outside jack tube to the ground use a 6" tall Flip jack foot. 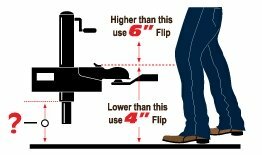 General Rule Average height person with trailer coupled to tow vehicle: - If the top of your trailer frame sits above the bottom of your knee cap you probably need a 6" tall Flip jack foot. 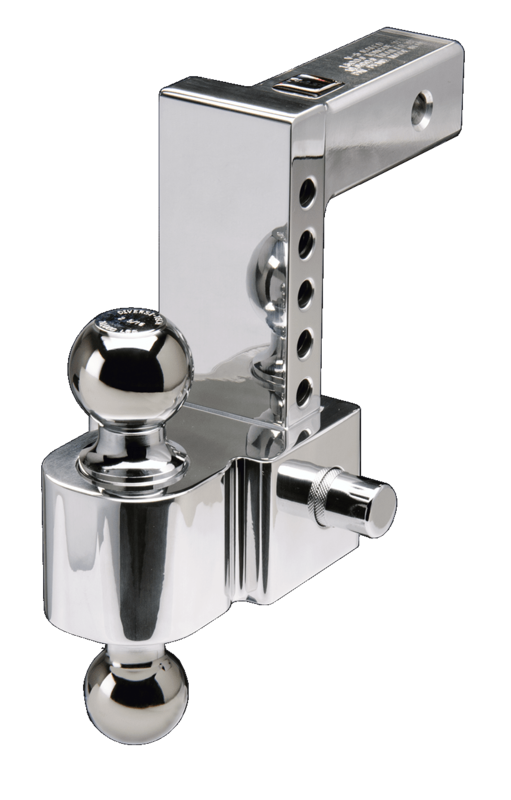 - If it sits below the bottom of your knee you probably need a 4" tall Flip jack foot. The 4" Flip works best on trailers with low decks like horse trailers, flatbed trailers, some older model RV Travel trailers and small single axle trailers. The 6" Flip works best on trailers with taller decks like over the axle flat bed trailers, enclosed cargo trailers, ATV/snowmobile V-nose trailers and newer RV travel trailers. I wish you could see a picture of the big chunk of wood that used to rest under my trailer foot. It was a monolith. Not only does this make the trailer look so much better, it saves me a ton of cranks. Great product. I picked up one of these after I saw a model at a dealership. It's really an impressive product. Not only does it make my trailer look great, it saves me from getting down on my knees to place and remove wood blocks every time I use the trailer. Before giving this review, I must remark that what it replaced was a 12" tall stump that we used after the toe on our previous jack foot was broken off (we won't get into that story). It was easy and fairly quick to install, and has been terrific to use - the best we have had experience with in all the trailers and toy haulers we have had. Would highly recommend to anyone.